In the days of the studio system each one of the majors had a “B” unit for keeping their contract players busy as well as putting product in the movie houses. Warner Brothers had a solid stable of character actors and a second tier of leading players sufficient to put out some solidly enjoyable programmers like this murder mystery with the customary comedic scenes thrown in. 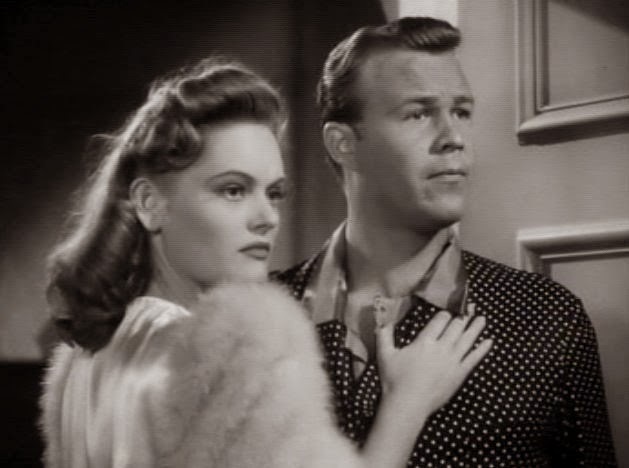 Likable Wayne Morris is hired on to pose as the fiance to beautiful Alexis Smith. Not bad work if you can get it. What he doesn’t realize is she is somewhat of a black widow. She’s been engaged three times and all three of her suitors have met with a nasty death prior to walking down the aisle. 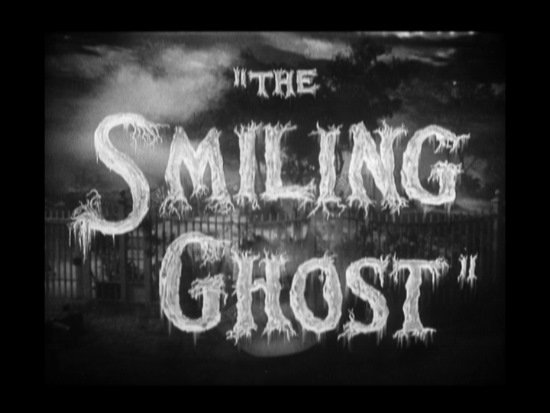 He’s been hired as a guinea pig so that The Smiling Ghost can be captured and proven a fake. Might the specter possibly be a reality? So it’s off to a mansion of dubious relatives and an intrepid news reporter wanting to get a scoop on the latest fiance willing to risk his life to wed Smith. 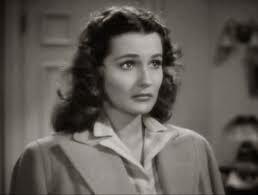 Our reporter is Brenda Marshall. Have I ever mentioned how gorgeous she is in technicolor? When Brenda unveils to Morris what he’s in for, he’s all for running out with his hired man Willie Best in tow. Best is all for leaving when it comes to ghosts and supplies us with much of the films comedy relief. 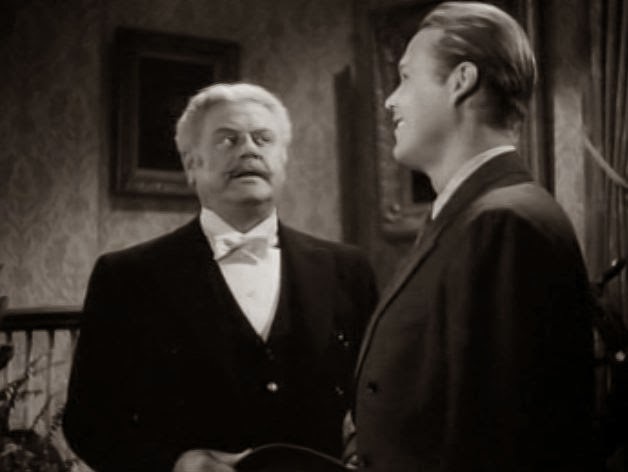 One of my favorite Warner’s contract players is the butler at the home of Alexis. It’s Alan Hale and he plays it tough as opposed to the Bela Lugosi red herring role. Hale never fails to liven up a film and make it just a notch better with his jovial presence. Like many of the old dark house thrillers, this one throws a stormy night at us along with sliding panels in walls and a ghastly masked killer. It’s all played for fun with our cast turning in enjoyable performances despite probably knowing that this film would be relegated to the bottom half of a double bill. It’s just possible that this “B” comedy/mystery played better than the intended box office attraction. The film was scripted by Kenneth Gamet who had down the four Nancy Drew mysteries of 1938/39 so this writing assignment was right in his wheelhouse. Lewis Seiler was our director who had a variety of titles and genres under his belt. Films from Crime School to Guadalcanal Diary among many others. It’s hard not to like these secondary programmers when they offer a solid cast and plenty of thrills mixed with some genuine laughs. I snagged this one under the Warner Archive collection in a nice six pack. Looks fun, good cast, hardly even seems like a B with the caliber of Alexis and Brenda in it! Always fun to find a small film that’s unknown (to you or anyone else) that turns out to be quite enjoyable…and not a bad price for six of them, especially under the Warner Archive banner. Can’t wait for a review of “Sh! The Octopus”! This was a fun film to “discover.” Haven’t got to the Octopus yet but working my way through the titles. How do you like the rest of the set? So far so good, B films fill the void of downtime. They are short and compact. A couple of Ann Sheridan titles were here as well.